and Cape Cod MA Areas"
Towns with Erika Slater CH. 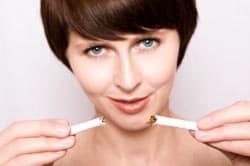 Maybe you’ve been smoking for many years and you’re now worried about the loss of your health and you want to enjoy a better quality of life with your family and friends. Maybe a life changing event happened to you and you suddenly realized the relationship you have with cigarettes has to stop so you can regain control of your life. Maybe it was once cool to smoke with your friends but now you realize it’s not so cool and you want to get out of the smoking trap before you lose your attractiveness to others. You may also be wondering how hypnosis can help you quit. You may be skeptical if it can help and even if you can become a non-smoker. But to eradicate a stubborn and entrenched habit you have to do things differently. Pure and simple. "I was Very Skeptical at First…"
If you’re serious, ready and committed to quitting then sign-up for a FREE Phone Consultation with me about my private Quit Smoking programs by filling in the form below and pressing the green submit button, or phone me at: 508.269.0109. If you want to learn more before signing-up for a FREE Phone Consultation then continue to read to the end of this page. Otherwise, if you’re ready now then fill in the form below and press the green submit button and let’s get going. I can’t wait to hear from you. Hypnosis has been successfully used to help smoker’s quit for over 50 years, and is a proven method. It’s safe, quick and effective for helping people quit. Hypnosis is a natural phenomenon proving invaluable in eradicating damaging habits. I’m Erika Slater and I’ve been servicing the Massachusetts region for 14 years and now reside on Cape Cod. I’ve moved my hypnotherapy services to Mashpee to serve the Cape Cod & Islands and southern Massachusetts area. I also offer most of my hypnosis services online so it really doesn’t matter where you’re located. I’ve been a professional and full-time hypnotist since 2004. I’m certified by, and a member of, the National Guild of Hypnotists. But my expertise goes well beyond the requirements of certification. I’ve been helping individuals stop smoking for over a decade. I’ve helped hundreds of people quit through my signature private smoking cessation programs. Hypnosis so dramatically changed my life through helping me quit smoking after trying everything else, that I decided to help others enjoy being a non-smoker for the rest of their life. Like I once did you may be wondering why you haven’t succeeded in quitting so far? The reason is simple and the remedy is easy. The problem you face is to quit you need to go beyond the methods you’ve already tried and which didn’t work. Hypnosis is effective because it eradicates the actual habit which no other method does, but which is critical to you becoming a non-smoker. If you’re looking to quit and are serious and committed to be successful then this message is for you. It’s all about my signature program designed so you take the journey once to quit. Of course there are other hypnotists that also perform smoking cessation in Massachusetts and in other states or countries. However, few hypnotists have ever smoked and even fewer quit using hypnosis. "Life Changing in My Life!" a nonsmoker, I’m not worried about it! If price is the bottom line, then accumulate all your research and contact all those who are pitching low price to you. I’m probably not the cheapest. But if it’s important to you to work with an experienced smoking cessation hypnotist who will provide you with a proven program to quit smoking and with resources to stay a non-smoker, then call me at: 508.269.0109 or complete the web form below on this page for a FREE phone consultation. Please be certain you’re ready to quit by being serious and committed to quitting. I only work with no-excuse people who are ready to make a change and recognize the value of quitting and the real cost of continuing. Disclaimer – Please Read: Hypnosis can’t reverse the damage smoking has done to your health… but time can help recover. And time begins to help recover your body immediately after your last smoke – you’ll be surprised the big difference it can make in a small amount of time. So there is no time to lose in making a decision to quit and contacting me today so you can break free of smoking once and for all! If you’ve read this far then I know you’re serious about quitting cigarettes. But I also know you’re probably very busy and if you leave this page and don’t take the next step now you’ll probably never get around to doing anything about it. and I’ve not had a single cigarette since. I’d recommend her services to anyone." If you’re serious about wanting to quit then it’s important you take the next step today by arranging a free phone consultation with me. I’ll explain all about my programs to you and we can both see if we’re a good match for each other to get you to be a non-smoker. You can also sample an online session to see if you prefer for us to work together using your computer and the Internet. 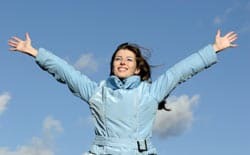 So go ahead and take the next step on your road to becoming a non-smoker – and the next step is the most important one. "Walked Out of the Door a Non-Smoker"
smoker and out the door a non-smoker! You know you have to change and now you know hypnosis makes it easy for you to adopt and maintain the changes. 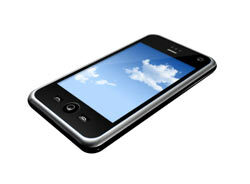 Let’s get going on your free phone consultation because I can’t wait to hear from you. P.S. 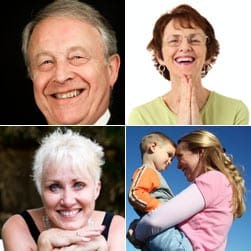 It’s time to make big changes and now you know hypnosis will help you to quit smoking it’s also time for you to take the next step by phoning me at 508.269.0109, or fill in the web form above to get your Free Phone Consultation arranged.